Are you suffering from stress, exhaustion, period pain or hair loss? I’m pleased to help you to bring your hormones back into balance. Through a simple saliva test from a specialised laboratory you’ll receive precise information on your hormone status. With the help of natural body- and bioidentical hormones, the balance of your hormones can be restored in a very gentle way while the body is animated to regulate itself. The first appointment lasts for about one and a half to two hours, while be speak about your ailments and your lifestyle habits. I’ll explain which hormone test kit is appropriate related to your symptoms. You’ll receive the test kit for the saliva sampling directly from the laboratory sent to your home within a few days, where you can take the samples when it suits you and send them back to the laboratory. During the second appointment we’ll discuss your test result and I’ll explain in detail the correlation of your hormone status with your ailments. 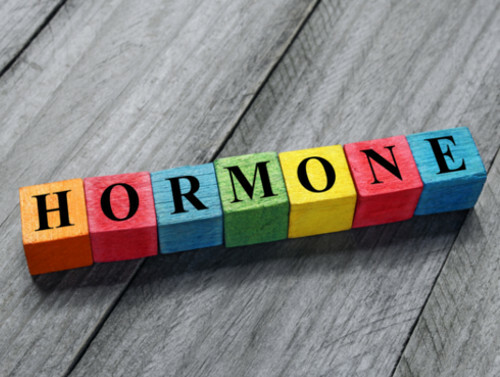 You’ll receive a treatment plan with the measures that I recommend such as the treatment with homeopathic hormone creams, globules, or recommendations on your nutrition to bring your hormones back into balance in a gently way. After six to eight weeks we’ll test your hormones a second time to evaluate if they are already back in balance or on the way there. Usually two to three appointments are already sufficient to regulate the hormones.